The holidays are around the corner! 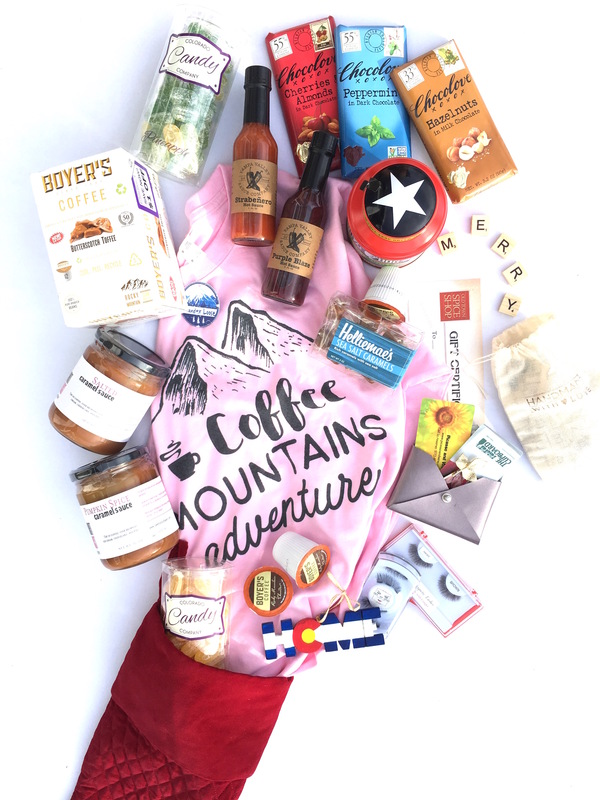 Get into a festive mood and support Colorado businesses by shopping these local products. 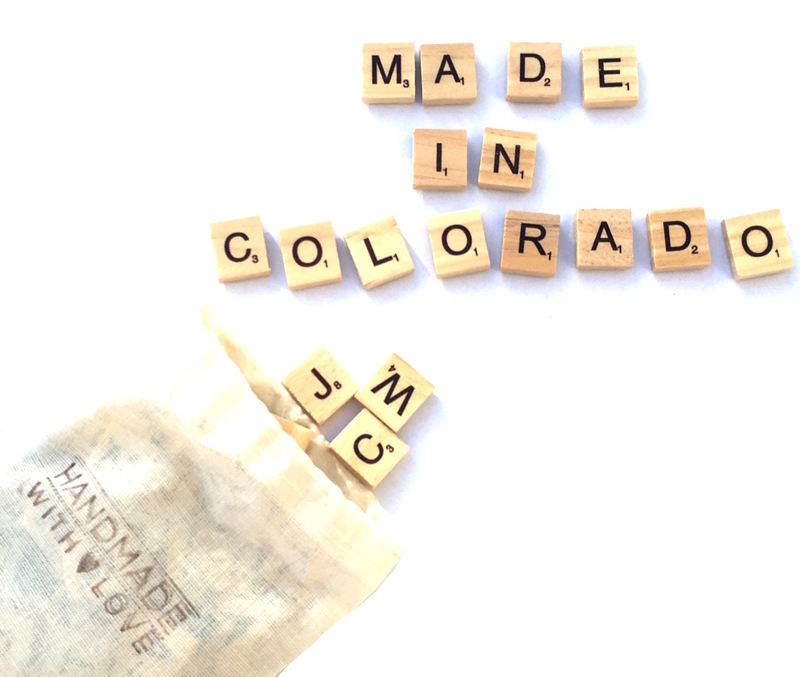 The Majority of these products can be purchased online... scroll to the bottom of the page to shop stocking stuffers made in Colorado! 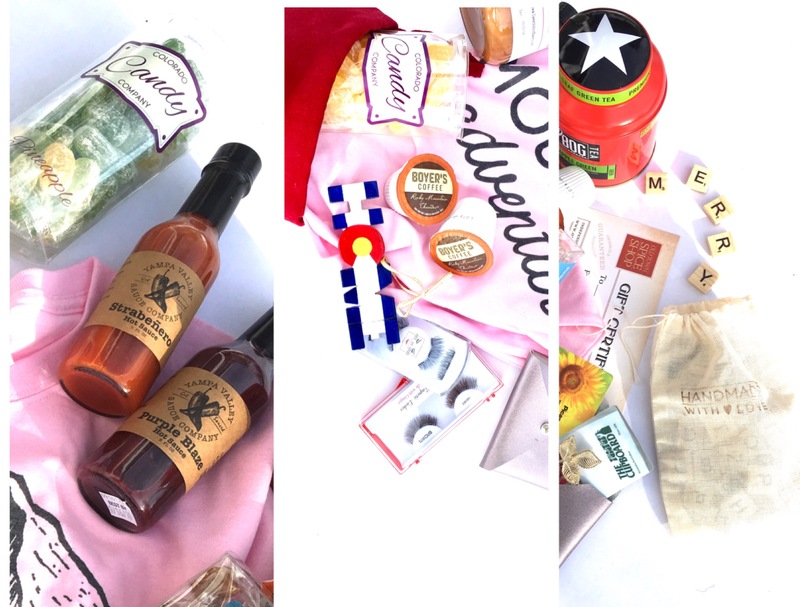 I'm excited to be partnering with Farmhouse Home Decor in Denver on this giveaway! I love the rustic, yet modern character of this Red Berry Wreath that is perfect for winter, yet not overtly Christmas. This wreath can easily take your entryway from fall, through spring, or be used to decorate the interior of your home for the holidays, on its own or in a grouping. Step 1) Like us on Facebook. Step 2) Comment on this post, tagging someone who's ready for the holidays! Bonus: You will receive one additional entry for each friend that you tag who enters the contest. 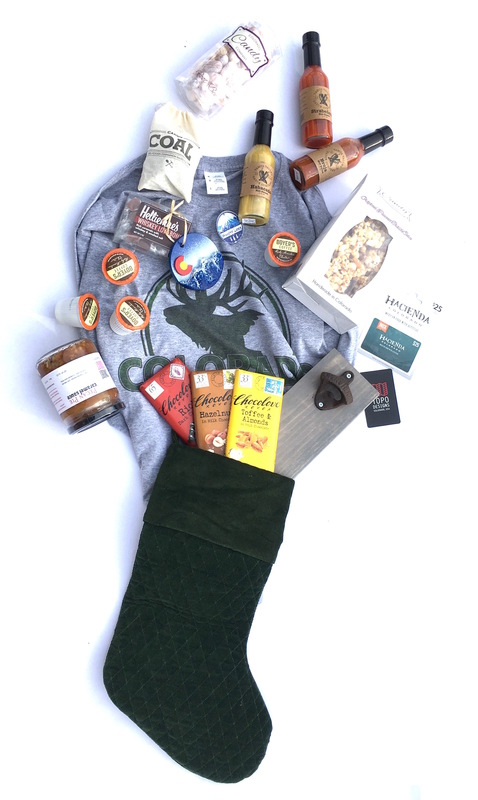 The winner will be selected by random draw on November 20. We will get in touch with them promptly for delivery of the wreath. 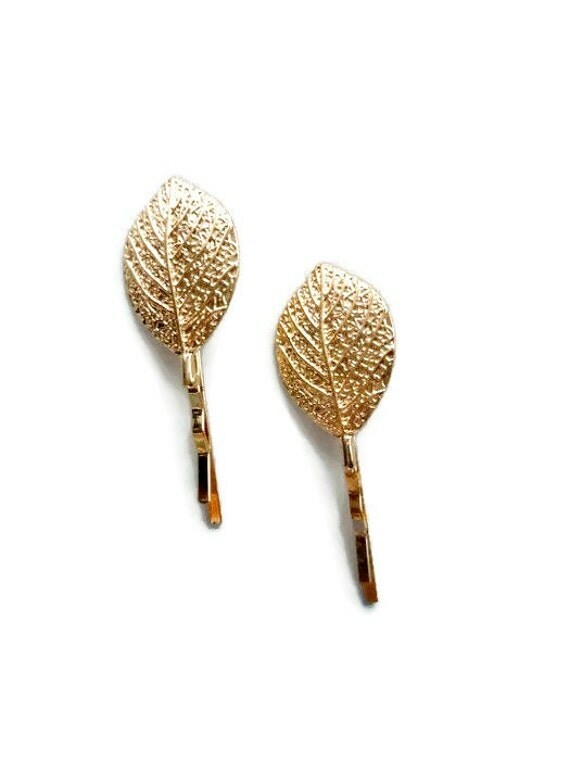 If we get no response after one week we will move on to the next winner. 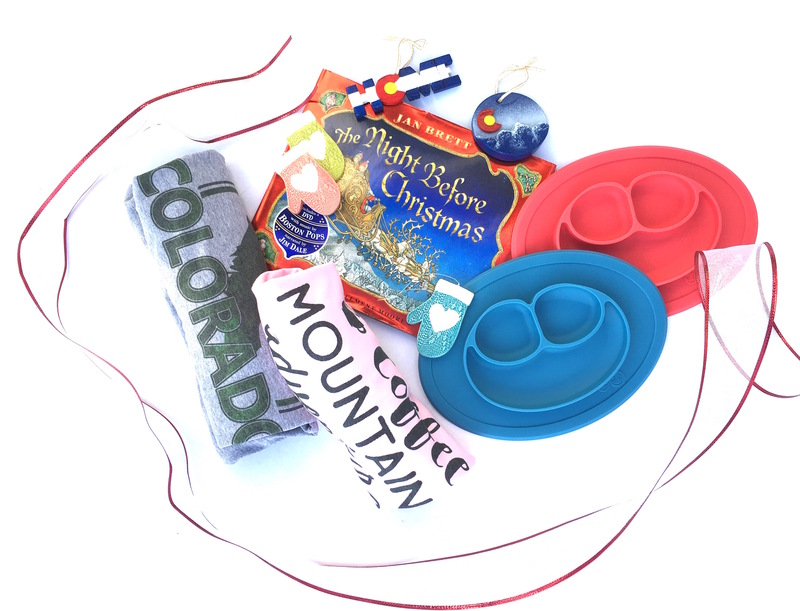 Our kids have so many toys already, so for stocking stuffers I try to avoid small toys that tend to accumulate without getting used or enjoyed in our house. 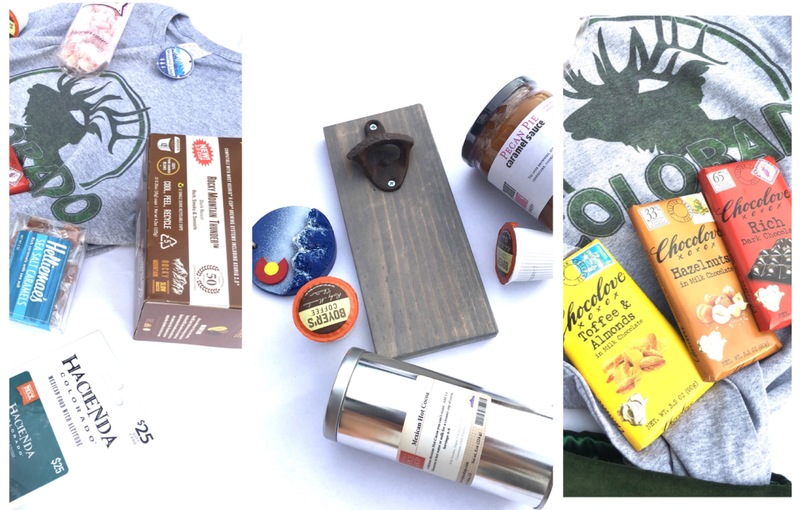 Nearly every item featured here made the cut by either being useful or delicious. We limit sweets as much as possible to special occasions, so I don't mind a little bit of indulgence on holidays. 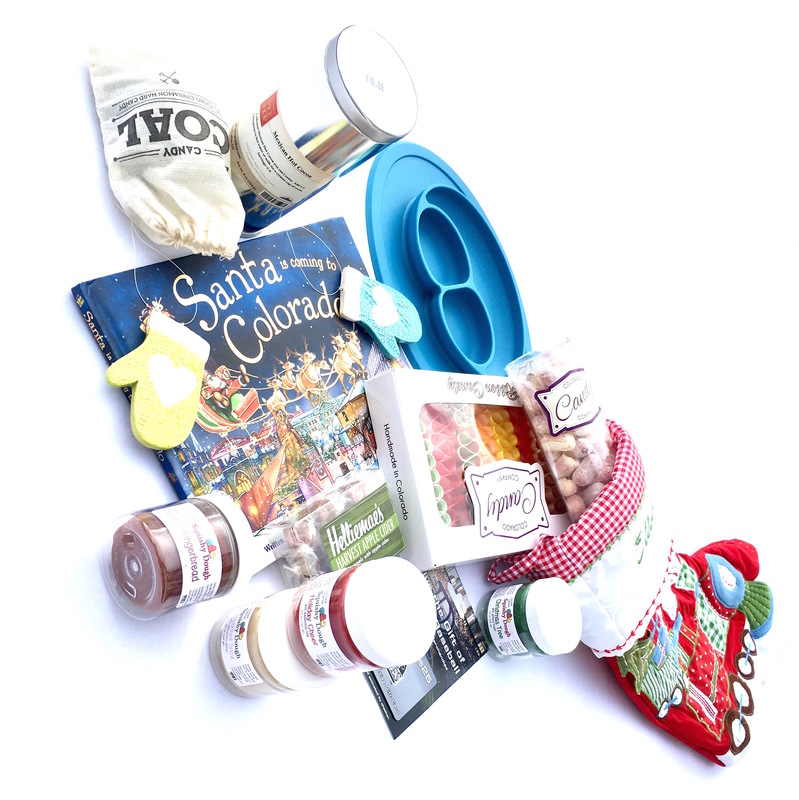 The flavors featured for a little girl include citrus flavored hard candies from Colorado Candy Company, Mexican hot chocolate from the Old Town Spice Shop in Fort Collins, apple cider caramel candies from Hellimae's, chocolate bars with cherries and raspberries from Chocolove, and candy coal from Hammonds. 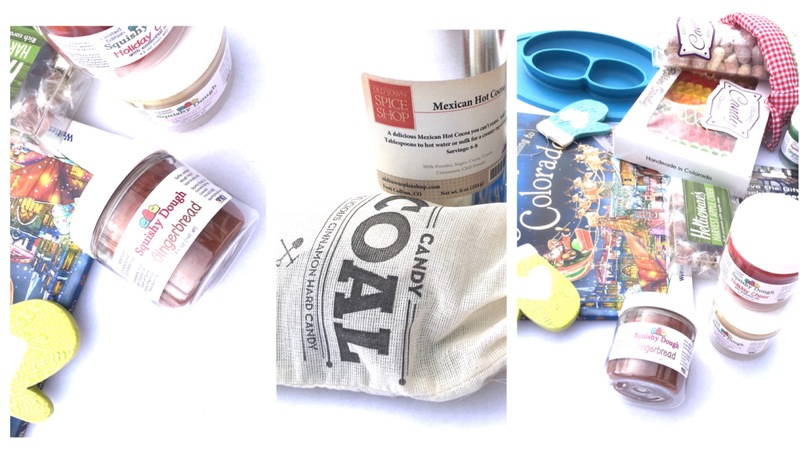 Coal in the stocking has become somewhat of a family tradition for us - our kids are always just a little bit naughty throughout the year! 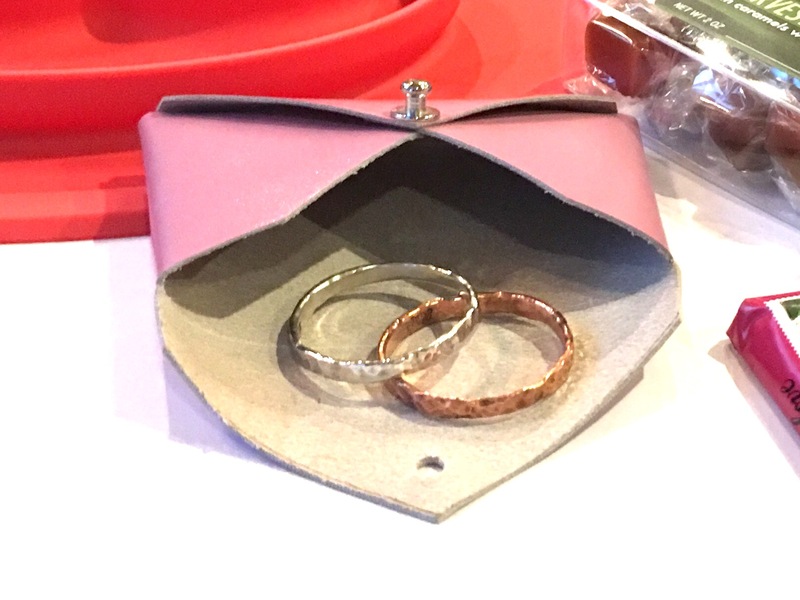 This pink leather coin purse is perfect for tucking gift cards or these sweet little hammered bangles. I love jewelry on a little girl! 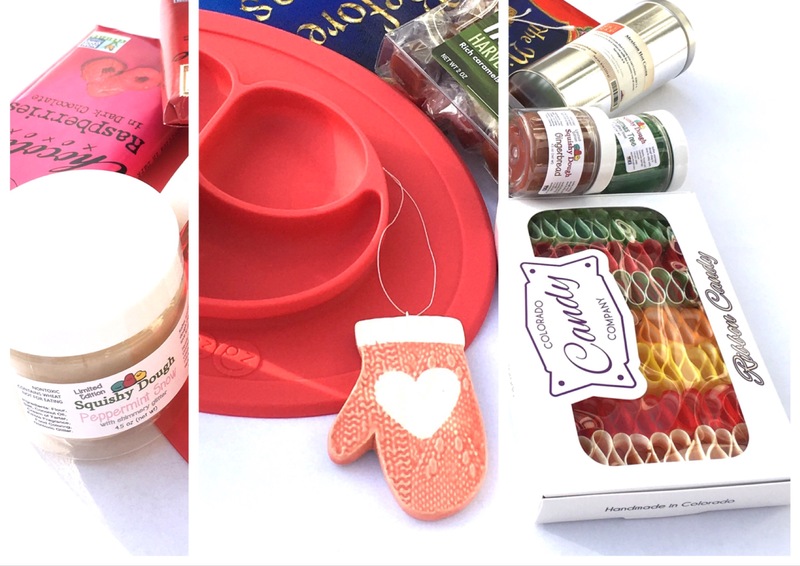 Play dough is a great gift item because it actually gets used up and needs replaced. While both of my kids will end up with this wonderful scented play dough from Squishy Dough in their stockings, my son was the one I was thinking of when I first came across it. Being a bit of a sensory seeker, he loves all things play dough, but add in some yummy smells and the texture of glitter, and you've hit a jackpot. My only fear is how to keep him from eating it, when the gingerbread flavor smelled so delicious that I almost wanted to taste it! Each year everyone gets a new ornament in their stocking, and I couldn't resist these matching mittens. The knit pattern is so realistic, it's hard to believe they're clay, and I love having the option to add a personal message to the back. Do you remember these EZPZ placemats that suction to the table from shark tank? My kids could set records for being the messiest eaters of all time so I selfishly got them these mats in hopes that it will help reduce the frequency of my vacuuming. Fingers crossed! Just because we're adults doesn't mean we can't enjoy some decadent sweet treats too! As a lady with a discriminating sweet tooth, these caramel sauces from Sweet Addict are my new obsession. An apple slice dipped in this pumpkin spice caramel is the kind of dessert you try to talk yourself into eating again for breakfast the next morning. These berry infused hot sauces by Yampa Valley Sauce Company were a find! While not exactly sweet, the hint of fruit flavor they add to foods is a welcome surprise. I'm completely addicted to the Purple Blaze blueberry infused sauce! 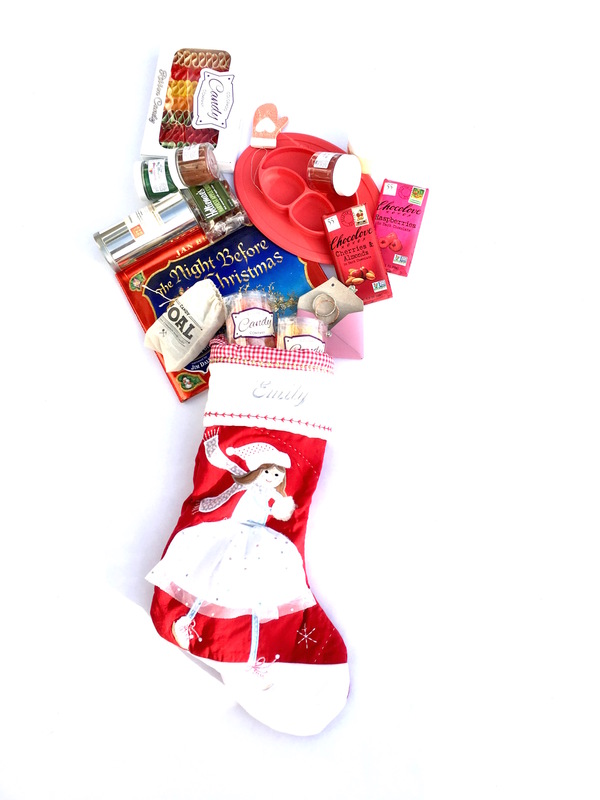 No lady's stocking is complete without a hint of pampering. 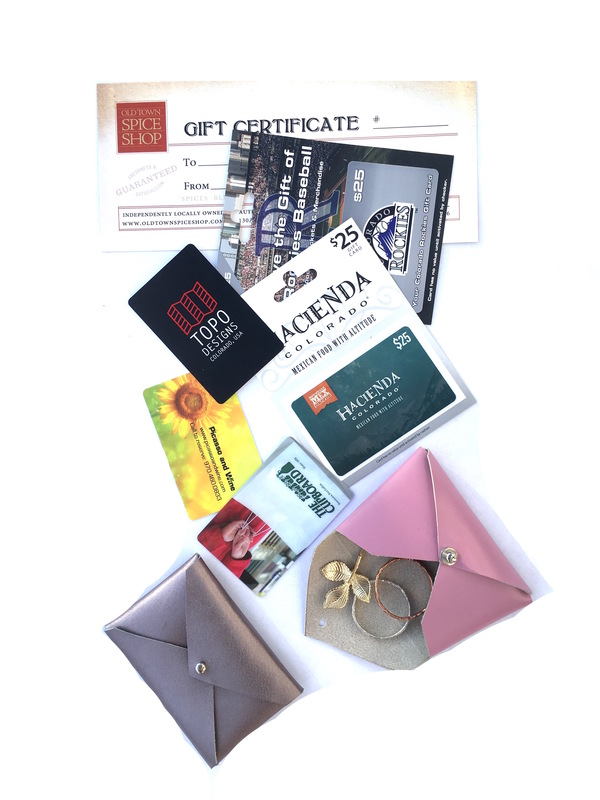 A small shopping spree to a favorite shop or a gift card for a lady's night at Picasso and Wine are on the right track. I also love these new full strip magnetic lashes from My Pink Wink and the delicate gold leaf hair clip from Cory Renee that say "go out and have fun!" But truth be told, since we've had kids my idea of a fun night is more likely to feature a hot cup of Dazbog tea, an indulgent treat like Hellemae's Salted Caramels, and a game of scrabble. This magnetic set for the fridge is a fun take on the classic board game. 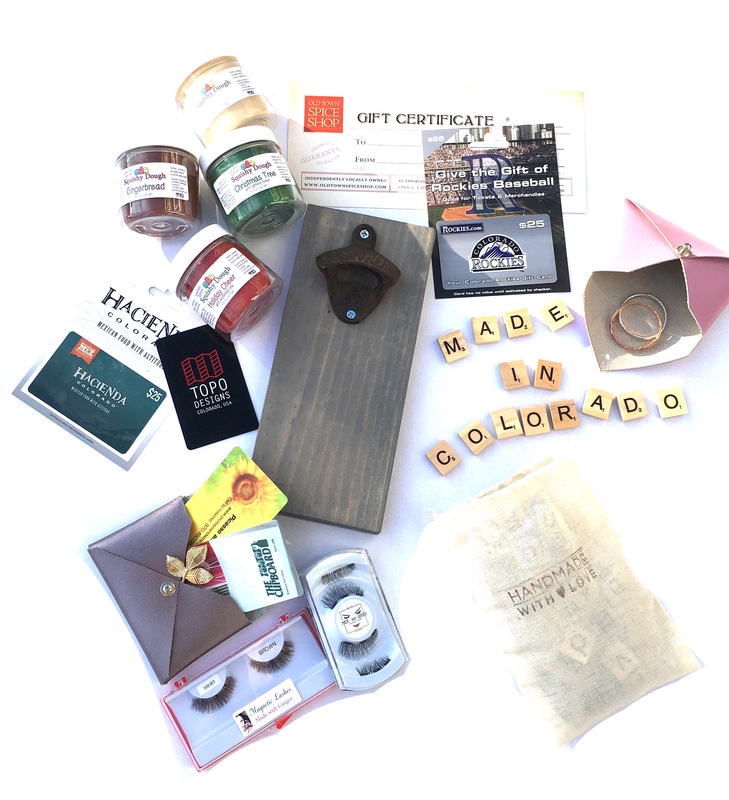 If you have a beer drinker in your life, this nifty cast iron bottle opener from A Good Turn Colorado has magnets to grab the beer caps so they don't fall. I'm partial to the aged grey finish. 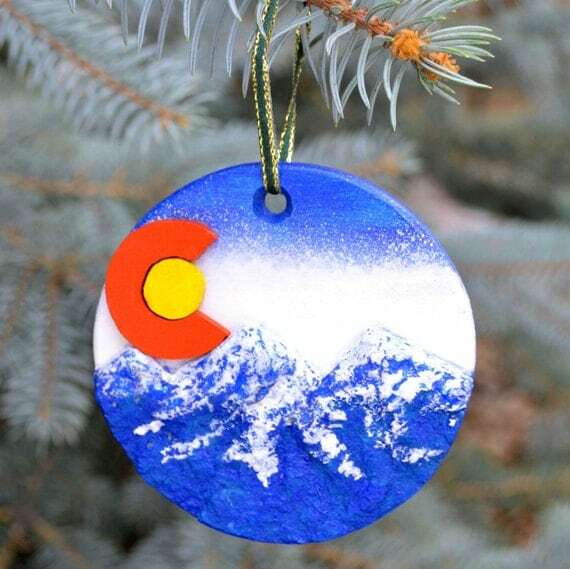 The Colorado mountain loving man in my life needed this Flag Sculpted Christmas Ornament from STATETuned for our tree. I'm not sure this will resolve our dispute over the hanging of our CU (mine) and CSU (his) ornaments, but at least this is one we can agree on! 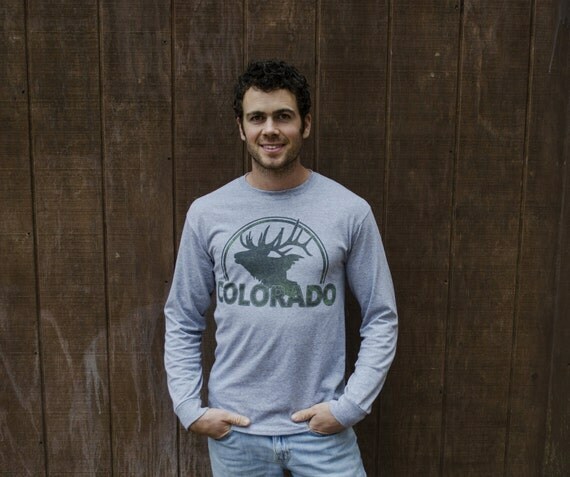 Local and family businesses are such an important part of the Colorado economy. 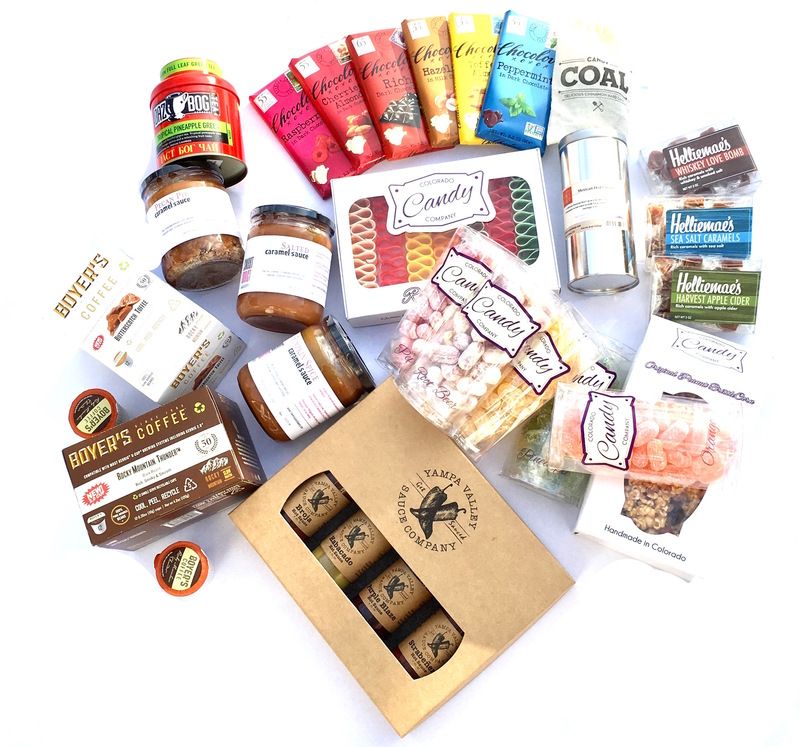 Thank you for supporting small businesses whenever possible!